Hospitality is a subject that comes up frequently in churches and in our daily lives. At this time of year, having spent Advent reflecting on the coming of Jesus into our lives, and then celebrating the birth of Jesus, we are reminded of the great hospitality offered at the time. Mary and Joseph are given a place to stay the night. While it may not have been great accommodations, fit for a king, it was protection from the elements for a family with an unborn child. Many years ago, we were making our way to my grandmother-in-law’s for Christmas with small children. We did not make reservations, as we were trying to get as far after school as possible before we stopped for the night. Well, Christmas time is not the time to plan in this manner. We stopped at several exits and there were no rooms available. It came down not to making choices of where to stay, but to finding out if there was a room available at all. We did finally find a room. The best thing about it was that it was clean and wasn’t a stable. Now I don’t intend to compare this to Christmas Eve 2015 years ago. But it does make one wonder about the experience of Mary and Joseph. Would we have done anything differently than the innkeeper? What if we had known who this baby would become? Would we have handled it differently? We open our homes at different times to friends, family and students. But do we open our homes, churches and lives to those who really need our help and support, not only financially but also spiritually? Most of us think our churches are welcoming to visitors physically, but do we really open our churches to everyone spiritually? Do we make them feel like this is the place where they can feel safe and at home spiritually? In this day and age, it is becoming more difficult to let people into our space. With the current world situation, we become more concerned with traveling, especially abroad. The wise men traveled many miles under difficult circumstances to bring gifts to the Christ child. What challenges did they face? The Holy Spirit surely was with them and in them as they traveled along to the Christ child. As we move on from the Christmas Season to Epiphany, Lent and then Easter, let us have conversations in our churches about hospitality. What does hospitality mean to you and what does it mean to your church? Is it a Sunday morning thing or is it an everyday thing? How do you incorporate the Holy Spirit into your hospitality? Heavenly Father, we come to you with thanksgiving for sending your son to teach and show us mercy, grace and forgiveness. Help us to open our hearts and minds to all we come in contact with. Let us be ever mindful of sharing not only our material things, but sharing spiritually our churches, homes and lives; sharing the grace that you have given to us through Jesus’ birth, life and death here on earth. Give us courage and fill us with the Holy Spirit, to share the Christmas story freely with those whom we come in contact with each day. In Jesus name we pray. Amen. 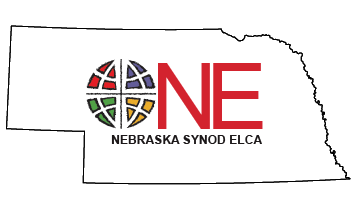 Dale Fornander is a member of the Nebraska Synod Leadership Development Table and is a member of Berea Lutheran Church in Chappell, Nebraska.